Novels like Gone Girl and Wild portray women who are real, haunted and mostly human. Women can be nurturing, loving and a total giver although they get little to nothing and even abuses in return. Yet, there is a point where everything good ruptures and is replaced by a strong sense of giving back the pain inflicted on them to the inflictor, particularly in conjugal relationships. 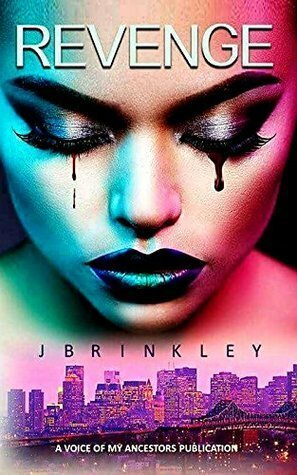 “Revenge,” a novel written by Jonas Brinkley aka J. Brinkley depicts how a woman who remained firm in loving and sticking with a man through thick and thin finally reaches the breaking point and decides to let vengeance consume her. The urban, women fiction novel starts in a college love setting where Brooklyn Taylor falls for Tyrell, her college mate. Tyrell is involved in unsavory activities and Brooklyn’s entreats for him to pull back fall on deaf years. When she gets pregnant with Tyrell’s child, her elation is short-lived as Tyrell is hauled up to prison. Brooklyn gathers herself up, defies her family and friends’ impression on Tyrell and decides to stand by him while seeking God’s grace to turn him around. Brooklyn gets a job and raises her daughter and Tyrell becomes insecure when he learns about Brooklyn’s newfound freedom. Upon his release from prison, all of his insecurity falls on Brooklyn in the form of physical abuse. In one particularly violent episode, Brooklyn ends up in the hospital and as bitterness towards the man she so loved overcomes her, she moots revenge.J. Brinkley has written “Revenge” from a feminist and humanist angle – a woman has all the negative emotions a man has because all emotions are human. Social conditioning and stereotyping do influence the actions of women and men but at the end of the day, the flawed human being in them prevails. “Revenge” has all the elements of what makes a riveting and engaging novel. J. Brinkley’s novelist acumen shines through in every page of “Revenge”.